IMPORTANT – if you have a Model 610 (with an internal tank) – click here to use different instructions. This process is slightly different. 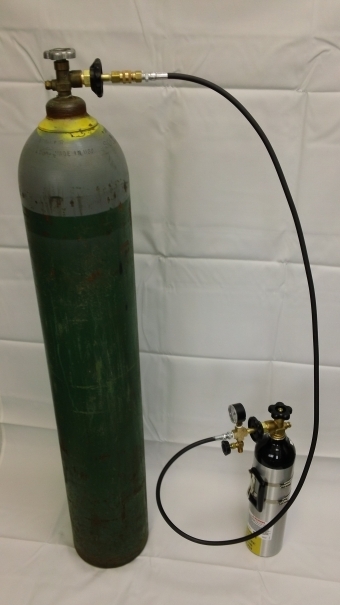 Filling the Portable Tank is easy but care must be taken while trans-filling high pressure nitrogen. 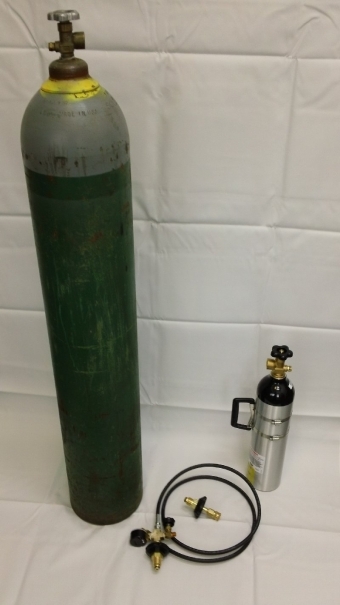 You need the following 4 items in order to make a successful fill of the Portable Tank. 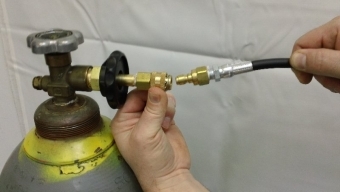 Next, you will need to connect the two tanks together using the Supply Tank Adaptor and the 6-Foot Filling Hose. 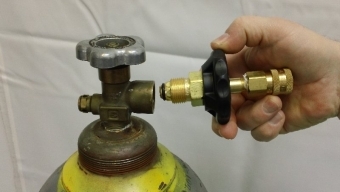 Screw the Supply Tank Adaptor into the Supply Tank. The tanks should now look like this. You will hear the nitrogen as it fills the tank. You should take about 1-2 minutes to fill the tank. As the pressure equalizes, continue to open up the valve a little bit more. Continue this process until the pressure has equalized completely. 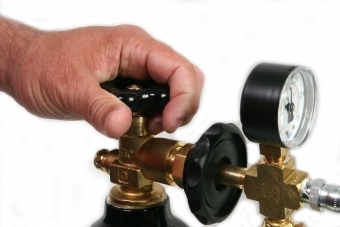 If you open the valve up to quickly and let too much gas into the tank – the valve will become HEATED and could have problems or fail. This is due to the gas compressing into the empty tank. 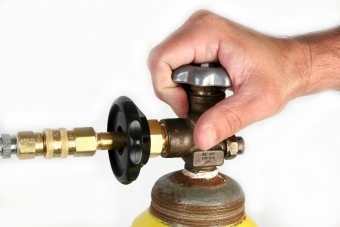 When the pressure has equalized, seal the Portable Tank first, then seal the Supply Tank. 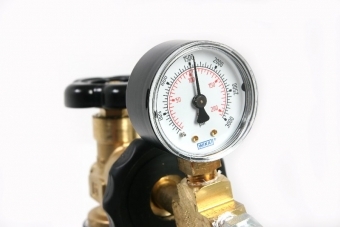 The Pressure Relief Valve will allow you to let the pressure escape from the hose. 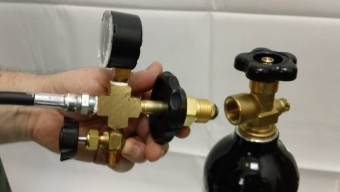 Now you can disconnect your hose from the Supply Tank Adaptor and connect it to your Pressure Chamber. You are now ready to take measurements.